Where is Mt. Sinai? At a 2013 colloquium in Israel, an international group of scholars debated the question. At the center of the debate was Har Karkom, a mountain ridge in the Negev Desert that archaeologist Emmanuel Anati believes to be the Biblical Mt. Sinai. Or could Mt. Sinai be in Saudia Arabia, where Moses was thought to have fled after escaping Egypt? In “Where Is Mount Sinai? The Case for Har Karkom and the Case for Saudia Arabia” in the March/April 2014 issue of BAR, Hershel Shanks examines these candidates. Emmanuel Anati stands before Har Karkom, a ridge in the Negev that he believes inspired the Biblical Mt. Sinai. Photo: Hershel Shanks. Biblical Mt. Sinai has never been identified archaeologically with any scholarly consensus, though several sites have been considered. According to Shanks, none of the scholars who attended the colloquium in Israel discussed the traditional location of Mt. Sinai—the mountain called Jebel Musa looming over St. Catherine’s Monastery in the southern Sinai. Jebel Musa’s identification as Mt. Sinai developed in the early Byzantine period with the spread of monasticism into the Sinai desert. Curiously, no Exodus-related archaeological remains have been recovered in the Sinai Peninsula—through which the Israelites must have traveled out of Egypt—dating to the traditional period of the Exodus, around 1200 B.C.E. Having conducted more than 30 years of archaeological work on and around Har Karkom—a 2,700-foot ridge in the southern Negev—Emmanuel Anati is convinced that he has found the Biblical Mt. Sinai. At Har Karkom, Anati discovered 1,300 archaeological sites, 40,000 rock engravings and more than 120 rock cult sites. Between 4300 and 2000 B.C.E.—what Anati calls the Bronze Age Complex—Har Karkom was a religious center where the moon-god Sin was apparently worshiped. Rock art depicting ibexes, animals with crescent-shaped horns that may have symbolized the moon, are abundant. Even more intriguing, Anati believes Biblical motifs are represented on some of the rock art. An abundance of rock art can be found at Har Karkom, including some that Emmanuel Anati interprets as Biblical motifs. A rectangular grid divided into ten spaces suggests the Ten Commandments Moses received on Mt. Sinai. In other rock art pictured in BAR, vertical and curvy lines may represent a staff and snake, recalling the story of Moses’ brother Aaron turning a staff into a snake as he stood before Pharaoh. Photo: Emmanuel Anati. It was Har Karkom, Anati suggests, that the Biblical authors envisioned when they referred to Mt. Sinai. One major obstacle to this conclusion, Shanks notes, is that the religious center at Har Karkom flourished at least 800 years earlier than the traditional date of the Exodus. Emmanuel Anati prososes that the Exodus should be re-dated to the late third or early second millennium—if the Exodus, as described in the Bible, occurred at all. Anati believes the Biblical authors had been inspired by Har Karkom regardless. Watch Emmanuel Anati’s lecture “Har Karkom: Archaeological Discoveries on a Holy Mountain in the Desert of Exodus” and other full-length lectures from the Out of Egypt: Israel’s Exodus Between Text and Memory, History and Imagination conference, which addressed some of the most challenging issues in Exodus scholarship. The international conference was hosted by Calit2’s Qualcomm Institute at UC San Diego in San Diego, CA. Shanks proposes that we reexamine another theory: the “Midianite Hypothesis.” According to this theory, Mt. Sinai was not in the Sinai Peninsula, but in Midian in northwest Saudi Arabia. In the Bible, Moses fled to Midian after escaping Egypt (Exodus 2:15). While tending to the flock of Jethro, the priest of Midian who became Moses’ father-in-law, Moses came to “the Mountain of God” (Mt. Horeb–one of two names for the Mountain of God in the Bible) and there received God’s call to take the Israelites out of Egypt (Exodus 3:1,17). In contrast to the archaeologically empty Sinai during the traditional date of the Exodus, the region of northwest Saudi Arabia was thriving in the 12th century—as attested by the proliferation of Midianite ware, pottery associated with the Midianites. This distinctive painted ware had even made its way north to an Egyptian temple at Timna in the Negev Desert—but not into the Sinai. The location of Mt. Sinai continues to be debated in scholarship. Subscribers: Read more about the evidence at Har Karkom and in Saudi Arabia in the full article “Where Is Mount Sinai? 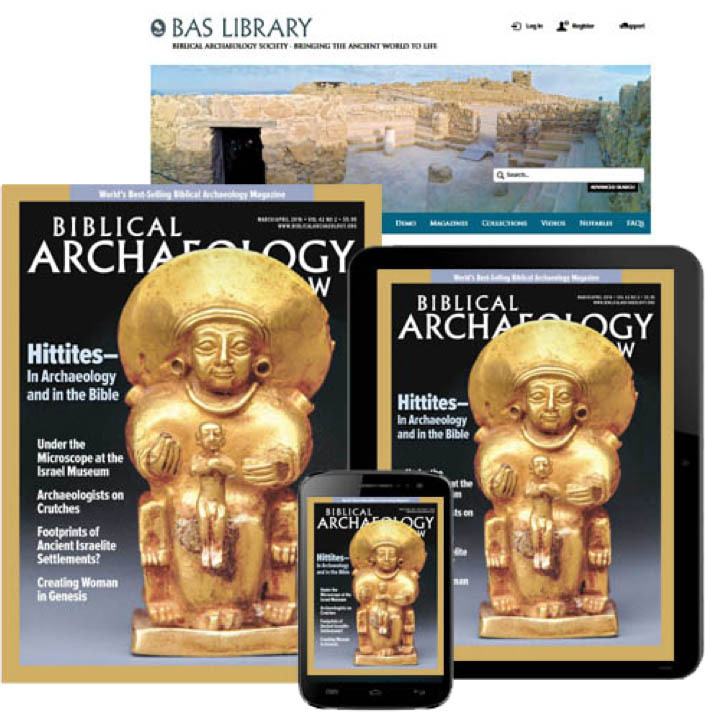 The Case for Har Karkom and the Case for Saudia Arabia” by Hershel Shanks as it appeared in the March/April 2014 issue of Biblical Archaeology Review. Not a subscriber yet? Join today. This Bible History Daily feature was originally published on February 14 2014. The Exodus: Fact or Fiction? Who Was Moses? Was He More than an Exodus Hero? Does the Merneptah Stele Contain the First Mention of Israel? November 17, 2018, 0045, 24-hour clock. I believe what I just read above. God have mercy on those who don’t trust and believe in u Lord God. Especially the Eaties who do not believe in u. Have mercy on them Lord. Bill, Ron Wyatt was a total fraud. Please do your homework. Your making us Christians look stupid by falling for such schticks. Seems pretty likely to me that the “original” Mt. Sinai was an erupting volcano. Burning bush, covered in smoke and fire, Israelites marching toward it following a pillar of smoke/fire in the distance, etc. I think Ron Wyatt was right when he found it in Saudi Arabia in 1979. He said it was Jabal al Lawz. He found the altar Moses built to worship God, the one Aaron built for the golden calf worship, the rock Moses split to bring forth water, the 12 pillars Moses built for each tribe, the boundaries Moses built to keep the masses away from the mountain. There is enough grasses there to feed animals and water, it all makes sense. Also on the mountain was the cave of Elijah. The top of the mountain is all black, while the bottom is not as if blackened by fire. You split the rocks and they are only black on the outside, not inside. #3 Jonathon you are correct. More people need to see their evidence….once you see the barb wire, and the warning signs it pretty much down hill from there. They Have Come, Into the Wilderness of Sin. Immediately after Passover, is when the windy season generally begins, in Egypt. Rapasu(m), in Akkadian, refers to wideness; expanses. It also refers to beating; threshing. Also, to become broad; to expand; be wide; great; broad; extended. Rapadu(m), is to roam, to wander – Especially in the outback – The desert. Which are the Desert of the Moon, and the deserts and mountains beyond it. 60 days past the Sea of Reeds, the wandering in the desert, takes you to where? Midian, is a journey of about 425 miles, using the easiest route out of the Delta and along the coast toward the Dead Sea, then southward, into Midian. As sheep graze at about 5.6 miles per day? But if you were cutting across the desert, below the Promised Land, west of the Negev? You would shorten this journey, to about 345 miles – About 62 days, at 5.6 miles per day. Make of it, what you will. If you really want to know where Mt Sinai is just google “Dr Kim and Jebel lawz.Scroll down and watch the video. Not being an archaeologist this may seem ignorant. I disagree with the man that said that Mount Sinai was in Arabia just because Paul said so. Remember that when he wrote this, Arabia did indeed lay claim to the Sinai….until 106 AD which was during Paul’s life time. Median on very old biblical maps did lay claim to the eastern areas of the Sinai from Ezion Geber to the southern tip of the Sinai…an area maybe 30-45 miles wide. Personally I will go with Jebel el Tarif…it is the right distance from the starting point, and the right number of days to get to Kadesh. The huge promotion of Ron Wyatt as a legitimate archaeologist in the comment sections of this website is great proof of how easily non-discerning Christians are fooled by cons. Follow the highway from Magna to AlBad & the next intersection up to the left you will see a symbol to the left in Araibic & if you click on that I believe those are the Midian tombs. It used to say it in English but not now. But there are over 32 pictures. If anyone can translate they can confirm if it says Midian Tombs in Araibic script. Look for Magna and the Well of Moses in Saudia Arabia to the north east is AlBad and somewhere near there are the Midian Tombs and to the right you can see the black topped mountains and where it looks like a great deal of water flowed once. It amazes me that so many Supposed learned people, dismiss men like Wyatt, who happened to have FOUND MT. Sinai , and focus instead on his lack of pedigree! When your argument is weak discredit a mans charactor? MWhat ever the reason, you find humility, self funding and using Scripture as completely accurate distasteful. It doesn’t, however, change the fact that Mr Wyatt did find Mt Sinai, along with Noah’s ark, and quite a few other sites that others “in the field” are still denying exist or are still hunting for. Since most archeologist who hold a degree set out with the predisposed thinking of the Bible being crap, I for one find it refreshing to have someone go against the mainstream and think outside their BOX! This man nor his family have gained anything in their search except the satisfaction of knowing Yahovah’s Word is accurate and elitist men have been made foolish by the humble. ( paraphrase of Proverbs). Almost 20 years after his death the “REAL” archeologists are just now figuring out what this man knew to be true. Give men, any man the credit his lifes work is due. Don’t begrudge another his reward because you failed at his task. Blessing and peace. A pharaoh of Egypt went to Mount Sinai and engraved his named there! In December 2013, two years after our book EXODUS was first published, an inscription made by a King of Egypt was found at Mount Gharib, which I have proposed as Mount Sinai. And more than a hundred years ago, a hieroglyphic inscription (stele) was found in the East Nile Delta, also made by a king of Egypt, describing an expedition to a location the scholars have hotly debated. But the location is now confirmed, for the same king made both inscriptions, and he found something there that only Israel could have left. This stele coupled with the inscription of the king of Egypt at Mount Gharib takes it out of the area of theory, plausibility, and circumstantial, and puts it in the arena of evidence. Exodus by G. M. Matheny, now available on Amazon.com, Ebooks (Kindle etc.) are not available until Oct. 12th. Saudi arabia is not 3 days from egypt through the land of the philistines. Therefore it must be in israel. The real question is where is egypt. The answer is jerusalem. 3 days north is mount meron. All that I can say is…Wow! The sixties were good to you! I am astonished that people are still arguing about where Mt. Sinai is!!! Response # 3 and 4 are absolutely correct. Only someone with an agenda or an ignorant fool would try to deny the OVERWHELMING evidence that is to be seen in Saudi Arabia at Jabel el Lawz. This Mt. has been explored and photographed by at least three different expeditions as are mentioned previously in the above stated responses. So for the responder that said that there isn’t, “a shred of evidence” for the claims of Ron Wyatt, you are either a fool or a liar…or both! Ron Wyatts claims are well documented by Bob Cornuke, Jim & Penny Caldwell, and Dr.David Kim. It angers me that people call Ron Wyatt a con man. Inspite of all of the evidence that he and others have brought forth they act like it is invalid because it hasn’t been “officially” documented and therefore it doesn’t count somehow and is not real. Hogwash! It’s like, if I look out my window and see my next door neighbor’s house on fire and I call to report it, the operator telling me that because I am not a qualified fire marshall then I am not qualified to make such a report and that the house isn’t really on fire until a “qualified” fire marshall investigates to determine if indeed my neighbors house is on fire. Gimme a break! Anyone with half a brain and a little common sense can see that the house is ablaze! And anyone who takes an honest look at Jabel el Lawz and compares it to what is described in God’s Word can plainly see that it fits the description to a tee. Ron Wyatt was a sincere, humble, and honest man. He was interviewed on his deathbed and stuck to his story and never made even enough to cover his expenses for his work off of any of his books or dvd’s. It is easy to see that his motivation was NOT fame and fortune. It seems to me that it is just like the devil to try to discredit and invalidate Mr. Wyatt for the very reason that everything that he did say that he discovered is the truth. Shame on anyone who speaks against this man’s reputation without doing some honest investigation because if you do you will see that when Mr. Wyatt said he found Mt. Sinai, or Noah’s Ark, or the Red Sea Crossing, or the Ark of the Covenant, etc., then that is what he found! And if any of it turns out to be incorrect ultimately it will not be because of dishonesty. It seems perfectly fitting that God would use such a lowly and humble man to find these things at a time that seems to be leading up to the fulfillment of God’s plan here on this earth. First STOP with the e at the end…there IS NO ERA and while i am at it you egg heads can also STOP with the miscalculated calendar. WE ARE IN THE 20th CENTURY NOT THE 21st! Jesus walked the earth 33 years not a hundred. The Jabal Haylan volcano http://www.volcanodiscovery.com/haylan.html is the only volcano in that area known to have been active around 1200…800 BC. The only problem is that it is literally far fetched: The distance is about 1850 km (1200 miles) from Eilat. There are some interesting aspects: According to Exodus 19:1 it took 60 days for Israel from Egypt to Sinai: that might be possible for the front group of that caravan. (I assume that the exodus population was far less than 600,000 men others – probably they did not use our 10-based numerical system for census. Maybe total max 30,000 people as they camped near Jabal Haylan?) And for Elijah it took 40 days to get there in 1 Kings 19:8, but he was a man in a good shape (1 Kings 18:42-46). Jabal Haylan is near Sana’a (=Sinai??). The town of Maʾrib is near, it was capital of the Sabaean kingdom from the early iron age onwards and has some Jewish and Ethiopian connections.The Maʾrib dam is near it and the first dam was built in the Middle Bronze age. Wadi Ḥarīb is near, and it sounds like Horeb. This area might be worth of some preliminary surface survey. I just wonder could archaeologists find remains of an encampment or settlement there that existed around 1200 BC and had more than average of Egyptian items? Also the eruption time of that Volcano should be double-checked with the modern methods. Mount sinai has to be in israel. Since it is written that “the israelites didnt travel to the way of the philistines although it was closer.” Therefore it has to be past the philistines north. Perhaps the biggest miss understanding is the location of egypt. In hebrew it is written that mitzraim (egypt) had several sons. So when we are talking about the nation of egypy this includes the philistines. They israelites dwelt in egypt 430 years. Isaac was born in grar of the philistines since his time the israelittes dwell in egypt. So i beleive egypt is one of the other brothers of the philistines who dwelt near by. In jerusalem. 3 days journey from philistines grar to mount moriah. Moses says that he will travel 3 days journey to worship god. I beleive moriAh and sinai are the same.. another obvious point is the name sinai corrresponds to one of the sons of canaan. I beleive sinai and moriah and bet el are all the same mountain in israel. The garden of eden where gos choose to establish his name. Mount meron northern israel is the only mountain that can claim two of jacobs pillars that he built in bet el. Rachel was burried after they left bet el. Nahal amud is the pillar of rachel. The gilead happens to also be called gilgal rephaim or rujm el hiri and matches the description of being west of the gilgal in deuteronomy 11. When Moses ran out of Egypt after killing the guard he fled into Midian .For the land of Egypt included the Sinai .So when the Israelite came out of Egypt they crossed the red sea into Midian were Moses got married and worked the land ,as he knew the land well there. If we read the Bible, that is if we read the Bible, then Mt. Sinai has to be in the Land of Midian. Where is the land of Midian? Check your map, it is in Arabia. As for Mt. Karkom, yes! I believe the Hebrews were there 100% and that it is the true Kadesh Barnea. In 1985 Ron Wyatt and Dave Fasold were searching for Mt Sinai in Arabia. They thought Jabel el Lawz was the biblical Mt Sniai because the high peak of the mountain range was distinctly black. It looked as if it was solid coal . The very top portion of the entire range had been evenly scorched.. EX 19:18 And Mt Sinai was altogether on a smoke, because the LORD descended upon it in fire..
At the foot of the mountain Ron Wyatt found columns similar to the large Egyptian columns in Egypt. These were markers for a fence or border. Each was 18 ft. diameter . In Ex 19 ti tells of how a border should be put to be sure no one crossed to step on the mountain or they would die. The columns were buried only the tops showed . The Saudis do not want tourists nosing around so they could only dig around one to see what it was.. They told a Soudi Archeologist about some rock drawings of Egyption cattle.. Right after that the Saudis built a guard station and put a fence all around so no one would explore. The Saudi Bedowins call it the mountain of Moses. The Israelites crossed the Red sea and went into Midiam . It is not really a mystery that Mt. Sinai is in Arabia. -‘Cause borders never change, right, John? -You may be right about the horned altar. You are incorrect about Sinai. Har Karkom is NOT a volcano as the Bible expressly indicates. -Nobody in all Iron Age Judah ever saw a volcanic eruption. Sometimes, a thunderstorm is just a thunderstorm. -E. Harding, author of the Against Jebel al-Lawz site. Like my own, reports of God’s death have been greatly exaggerated. I heard that God was killed in tribal warfare. The Exodus of the Children of Israel is my favorite Bible story. The story is so wonderful and I truly want to believe it occurred just as it is described in the scriptures. Yet no matter how much we search for its certain archaeological evidence it alludes us. What then are we left to conclude? Does no archaeological evidence exist? If so, then why? Was it simply because the footsteps of a pastoral people quickly disappeared in the harsh environment? Or perhaps evidence still exists that is yet to be discovered. And if evidence does still exist what could it be to substantiate such a great story to everyone’s satisfaction? My take is that after all this time if we cannot even agree on where Mt. Sinai is then we may never be able to prove that the Exodus as described even occurred at all. But I’m hoping for the miracle discovery because I want to believe. Personally I still believe in the traditional location at Jebel Musa. P.S. That image of rock art is actually a Judaic horned altar. It is blocks of stone making a cubic shape, surmounted by the standard ‘horns’ that appear on the corner of all Judaic altars. The Old Midianite Hypothesis is not new, and such scholars as George Mendenhall, Larry Stager, P. Kyle McCarter Jr., and the late Frank Moore Cross Jr., have long argued for it being the most reasonable view. See H. St. John Philby, The Land of Midian (London: Ernst Benn, 1957). M. C. A. MacDonald, “Along the Red Sea,” in Jack Sasson, et al., eds., Civilizations of the Ancient Near East, 4 vols. (N.Y.: Scribner’s Sons, 1995), 2:1350. The solar boar of Nuah (ie: Nu) at Mt Sinai (ie: the Great Pyramid). The dove as an image of the flying Sun-disk. The Phoenix. St Peter’s Rome. As to Noah’s Ark, that too is at the Great Pyramid. 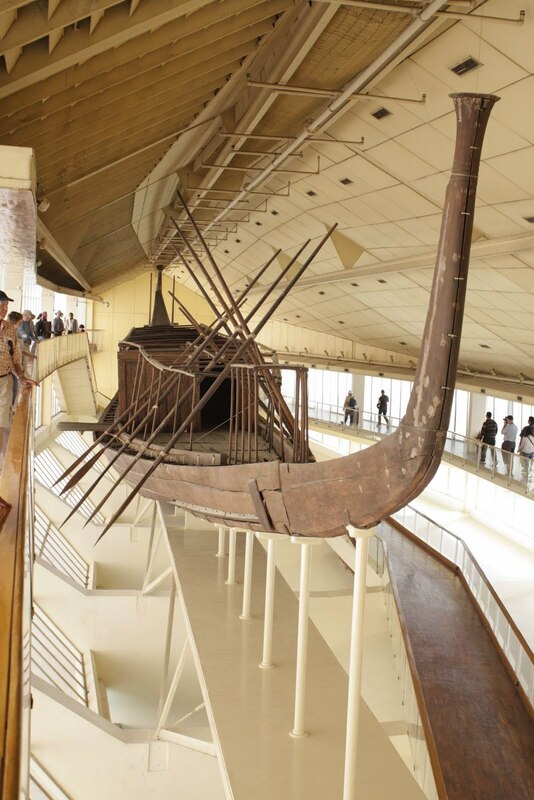 Beside the Great Pyramid are the two great Solar Boats that rode the celestial waters of Nu (ie, Nuah). There were two boats, one for the day, one for the night (in pairs, you see). In Egyptian mythology, these boats searched for the Primaeval Mound that appeared in the chaotic waters of Nu. 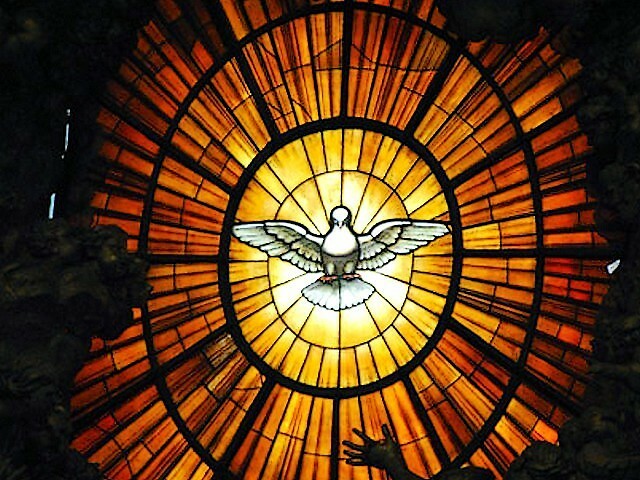 And the mound broke open to reveal the Phoenix, the flying Sun-disk, just as Christian iconography portrays the dove as being an image of the Sun. The final proof that Mt Sinai is the Great Pyramid, is the story of the wanderings for 40 years. This is not possible in reality, because 2 million people cannot live in the Sinai for 40 years. So what does this reference to 40 mean? Actually, it is a reference to the Great Pyramid, because the GP is a 40 times copy if Pi. The Torah account is all true, but not in the manner you expect. There is only one mountain that conforms to all the descriptions of Mt Sinai. A sacred mountain of god. The tallest mountain, but small enough to be cordoned off, sharp and difficult to climb, on the edge of a desert, and with a cavern inside it. Finally, it had a black pavement at the base, that looked like the night sky. So what mountain conforms to all these points? Easy. The Great Pyramid. And the black pavement is the black basalt pavement at the base of the GP. I received newsletters from Ron Wyatt from when he first started looking for Biblical things. He found chariot wheels with rims of gold and they can be found in a museum in Egypt.. He always told the Archeology people from each country what he found. Noahs Ark was found in Turkey and the Turkish Govt . was going to make it a tourist place but because of wars could not do it..Archeologists in Turkey know where it is and they tested the place..
A not-so-gullible Christian responds: Wyatt should not be considered an archaeologist. He’s a showman, and a rather poor one at that. To bring the discussion back to archaeology, we need to understand there are two approaches. One is a traditional approach that will allow for the miraculous provision of many Israelites living and traveling through a place with very few sources of water or food. This would put Jebel Musa back on the map. The other approach insists the myth of Mt. Sinai is either complete fabrication or at least something heavily exaggerated. This idea demands a naturalistic approach: the Israelites could have survived in NW Arabia easily enough, if they could get there. But before settling on one approach or the other, let’s stop pretending the argument can be settled by dismissing miraculous accounts as poo, just because we think we’ve seen it all. What lies at the heart of locating Mt. Sinai isn’t just scientific curiosity, after all. An appeal to Ron Wyatt is counter-productive and this fellow claimed to have discovered, not only Mount Sinai, but also Noah’s ark, the ark of the covenant, the blood of Jesus, and Sodom and Gomorrah. Yet he never had a single shred of proof for any of his claims. What he did do is to sell a bunch of DVD’s to gullible Christians. As to the Saudi Arabian proposals for a location to Mount Sinai, none of them explain why the Israelites subsequently attempted to enter the Promised Land via Kadesh Barnea and only then had to circumnavigate around the land of the Edomites in order to approach the land of Moab. The harsh conditions found in the Sinai Peninsula are vividly portrayed in the Bible account of Israel’s wanderings. (Deuteronomy 8:15) So, could a whole nation assemble at the base of Mount Sinai to receive God’s Law and later withdraw to stand “at a distance”? (Exodus 19:1, 2; 20:18) Is there a place large enough to allow for such movement of a crowd estimated to have numbered three million? Har Karkom is NOT a volcano as the Bible expressly indicates. Neither is it in Midian where Moses began his journey and ended it with the Israelites. Just because a Roman women thought it might be in Sinai “scholars” have simply accepted her choice as fact. The north-western arm of the Red Sea is a – if not THE – Reed Sea. Why scholars should ever have thought (if they troubled to do that at all) that the Israelites in flight would have stayed in Sinai within Egyptian territory rather than go to a country – Midian – OUTSIDE Egyptian control. It was here that Moses worked and lived, had his family and connections and more importantly, knew the territory. The description of Mt Sinai in Exodus is similar to ancient descriptions of erupting volcanos. We should be looking for an ancient volcano. Read up on Ron Wyatt’s web site, wyattarchaeologicalresearch.com. He was there in 1984 and claims that in Saudi Arabia at Jabel el Lawz (the mountain of God) that all the things described in Exodus are found there. I have read both accounts ,the one in Negrev desert and I think Ron Wyatt was correct. Saudi Arabia location has already been explored by Ron Wyatt, Bob Cornuke, and Jim & Penny Caldwell through the past 50 years. Why are the bigger organizations just now getting to it? In the book of Exodus it says that Moses fled to Midian ( which is in Arabia ) .The Israelites crossed the Red sea and went into Midiam . Moses new the land for he spent allot of time there before he returned to Egypt . (Exodus 2:11 ) . Plus, as mentioned in the article above, Moses fled to Midian. Every Bible map I’ve ever seen places Midian in Arabia.